Built in 1932 for US 75, this 80-foot state standard Parker Pony stands just north of Vera in southern Washington county. Like the old highway alignment, it has been maintained well. 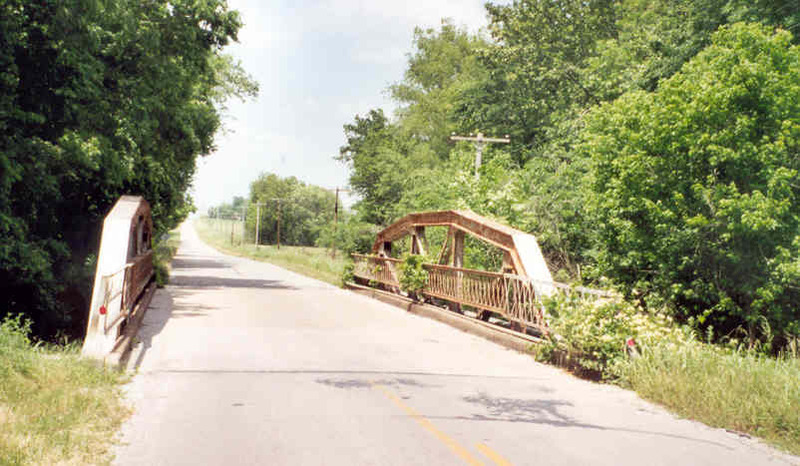 The bridge features lattice type guards and its original concrete deck. David, with some help from a pick-up, provides a scale not only for the bridge, but for one of its members. David is sitting on the upper chord at the deepest point on the truss. All of the members in this bridge are built-up sections. Note the repair in the guards on the left side of the picture.